Since its inception, the FOX Instinct Boot has proven itself to be the world’s fastest boot. The choice of global Champions - the Instinct - offers premium performance right out of the box. With a patent pending hinge and buckle system, the Instinct boot provides an immediate step in comfort and support. The exclusive hinge provides lateral support and locks out to stop motion before hyperflexion, while the easy buckle system flexes fluidly with the boot for ease of movement. 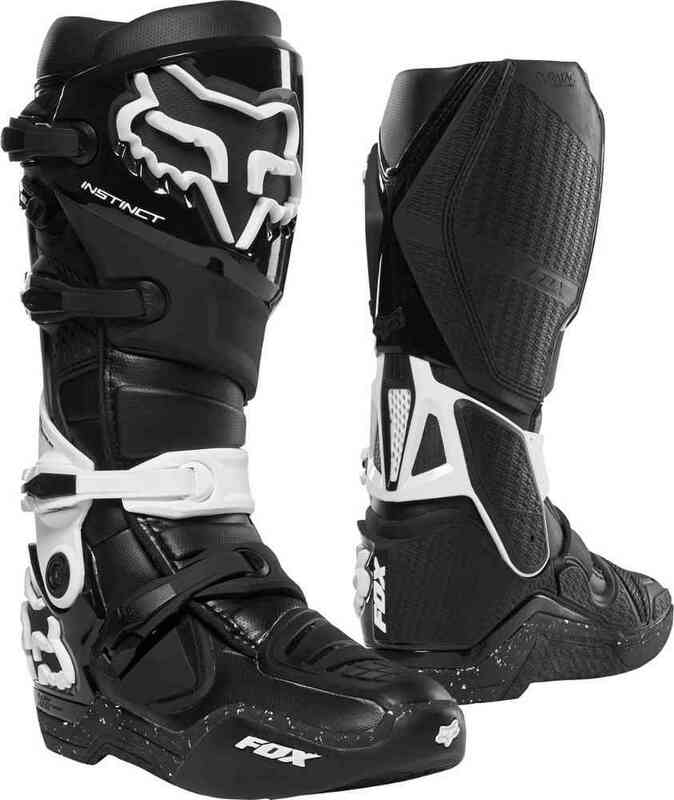 The Instinct boot improves performance by giving you greater command of the bike. A slim medial design gives you an intuitive feel of the bike, with a low ride chassis providing smooth shifting and better control of the rear brake. The outsole and burn guard utilizes a new Duratec compound for grip and durability. This proprietary rubber was engineered exclusively by Fox's development team to give you the greatest advantage on the track. See for yourself why the Instinct is the motocross boot of choice for champions like Ryan Dungey and Ken Roczen."